I love a traybake – easy to portion and great for sharing out around the family. This morning I made some Cherry Scones (using Paul Hollywood’s recipe) and then this lovely bake from Nigel Slater The Kitchen Diaries II. I am definitely going to repeat it using his recipe of frozen raspberries but on this occasion I replaced them with sultanas and the luscious candied peel from Suma Wholefoods – which is so lovely I could eat it out of the pot. I find that traybakes made with the addition of ground almonds stay very moist and have great flavour too. This one proved very popular when I took a slab of it over to my parents later in the morning and with the lovely Mr W this afternoon. I’ve never had a Nigel Slater recipe fail on me and that fills me with confidence to carry on learning and baking! 1. Preheat oven to 180C. Line a 4cm deep 22 x 30cm baking tin, with nonstick baking paper. 2. Beat the butter and sugar until fluffy and light. 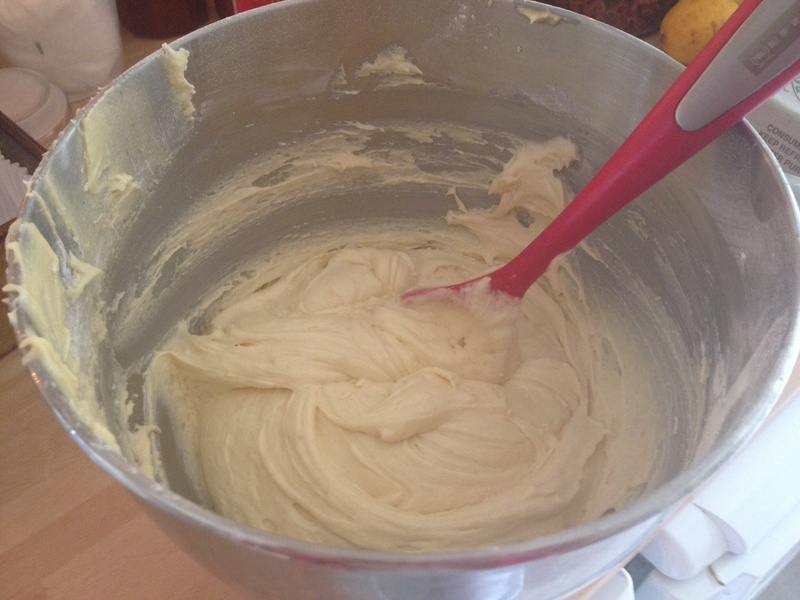 Break the eggs and beat lightly and add a little at a time to the butter and sugar mixture. 3. Stir in the flour and almonds gently. Fold in the fruit. 4. Spoon the mixture into the tin and smooth over. 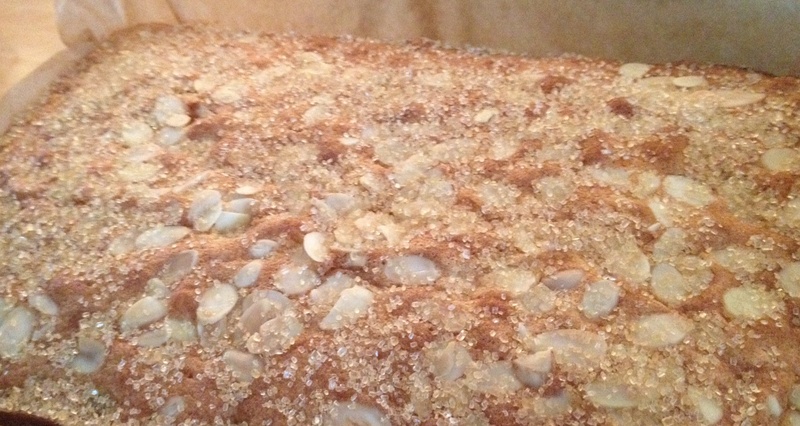 Scatter with the almonds and bake for 40 minutes. Test with a skewer which should come out clean – add a dusting of demerara sugar. 5. Leave to cool and cut into squares.